I am a candidate in the May 15 Nebraska Republican Primary for the U.S. Senate, against the incumbent Deb Fischer because she is doing nothing about our enormous and out-of-control national debt. In fact she has recently voted twice to increase our debt, with the new tax law as well as with the budget for the next two years. My almost entire focus on this blog is with fiscal and economic issues at the national level. The only way we will be able to solve our debt problem is by shrinking our annual deficits, both by making the economy grow faster (which will produce more tax revenue) as well as curtailing spending increases in each annual budget. But now as a candidate for national office I need to respond to other pressing national issues as well (see my campaign website). A total ban on the purchase of assault weapons by the general public. Even with the heightened security measures discussed below, too many deranged individuals will fall through the cracks and still be able to acquire guns. Universal background checks for all gun purchases from licensed dealers, at trade shows, and by private parties. The purpose here is to limit gun ownership by the mentally ill, domestic abusers and felons. Enhanced security and surveillance at all K-12 schools (which is, of course, a state and local issue). Conclusion. The Second Amendment to the U.S. Constitution guarantees gun ownership to U.S. citizens and this right is not threatened by enhanced regulation of the most dangerous weapons. Basic common sense justifies national action to address an urgent issue of public safety. 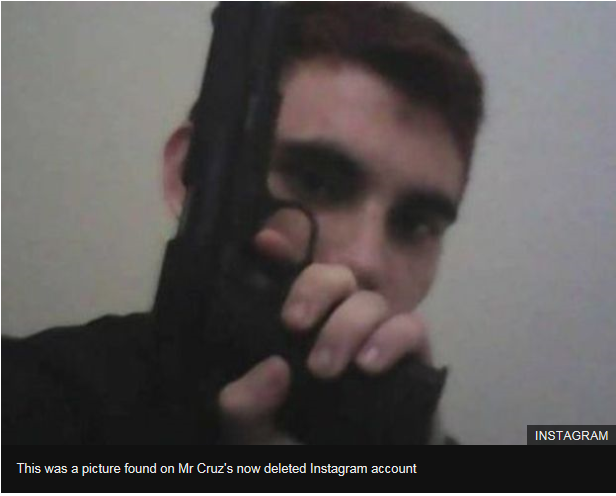 This entry was posted in assault weapons, gun control, Jack Heidel, Nikolas Cruz, social issues, Uncategorized and tagged assault weapons, gun control, jack heidel, Nikolas Cruz, social issues by jackheidel. Bookmark the permalink. Once again, the social adversities encountered during the survival of too many families fuels the adverse effects of daily betrayal for a large number of citizens. So, the cost of our nation’s healthcare is excessive as it attempts to mitigate the effects of chronic stress, the quality issues are largely the result of community deficits in their social capital investment commitment (not measured by $) and meanwhile maternal-mortality incidence worsens, our nation’s longevity shortens, many children begin kindergarten with an unprepared caring-thinking-creative capability for learning, and our nation’s generational, social mobility has declined to ZERO. We can not depend solely on economic progress and national security within a tumultuous world-order to fix the problems within each citizen’s community. I agree that day-to-day survival for many American families is stressful and that this affects their health and their children’s ability to learn in school. But we are putting a lot of public resources into public education and also into public healthcare. Besides trying to grow the economy faster in order to provide more jobs and better paying jobs, I’m not sure what we can do to make life less stressful for struggling families. Your support of “Common Sense” federal gun laws which will do nothing to decrease crime or mass shootings will cause me to make sure I will NOT vote for you! For Universal Background Checks to work you need National registration and that is a prelude to National confiscation of firearms. Private sales account for less than 20% of all sales of firearms. On top of which the FBI can hardly keep up with the NICS now how are they going to handle an increase in background checks. A ban on assault weapons is a practical impossibility as there is no such thing as an assault weapon. To ban something you have to be able to describe it and to date no one can define an assault weapon. Even if you do manage to ban the ARs the mass shooter will just use something else. I agree we need to do something about firearm use in the commission of crime but bans will not work. Look to New York they have tried that and got an compliance rate of less than 10%. Let’s start by fixing the NICS system, enforcing the gun laws on the books now. Get the violent criminals off the streets. The problem of mass shooters will be a thorny problem to solve but we can work on that. Mass shootings are a blot on our status as the world’s leading democracy. We’ll never get all of the violent or potentially violent criminals off the streets. That is why we need to take the much stronger measures which I am advocating for. Basic gun rights, as guaranteed by the Second Amendment, are not affected in any way. That’s a lie. Or a blatant falsehood. Please describe “basic gun rights” in more detail. Automatic weapons, for the general public, are already banned. But now you want to ban a semi- automatic rifle, which is no different than a “hunting rifle” when compared side by side. Background checks are done at gun shows and gun stores, and are legally required in most states for private parties. That’s clearly not working if only 18% of legally obtained firearms were used in gun crimes. Go ask the criminals in your local prison how they obtained the firearm they used. They’ll tell you it was probably through someone they met on Facebook, or some other illegal manner. The smartest thing I’ve read in this entire article is that you want to increase security at schools. I absolutely agree with that, as my sister is a teacher. She’s also proficient in firearms. Last time I checked, teachers held two primary objectives: 1) teach our future generations and supply them with the knowledge and skills needed to be successful in life, and 2) protect their students at all costs. So if that’s what they’re paid to do, why not allow them to carry firearms if they so choose? This, of course, would require very strict regulations and thorough training for those that wish to carry concealed at school. For those that don’t want to, which is their choice, they can undergo crisis training and prevention. They make door jams and locks to prevent forced entry in crisis situations. Use them. Hire our veterans to protect our schools. Add metal detectors and screening check points. These methods may be intrusive or expensive and burdensome, but if it means the safety of our kids, why does it matter? Stop thinking about the bottom dollar and start looking at the end result. Do these methods infringe on American rights? No. Do these methods allow for the protection of the innocent? Yes. Do these methods require effort? Yes. Do these methods have risks? Marginally, unless properly followed. Instead of banning something, why not do some research that is readily available on the topic of the very thing you’re trying to ban. Look at states that have the strictest gun control laws in the U.S. and let me know their gun crimes look. Look at the statistics on the types of guns being used. Look at the countries like Switzerland and their gun laws vs gun crimes. Don’t let emotion be the cause of “laws” when logic and reason should be the reason laws exist. Do something like ban the AR (AmraLite) platform, and you turn millions of people into criminals. Criminals don’t obey laws. If laws were obeyed by everyone, there’d be no need for prisons. But criminals don’t obey the laws because the punishments for the crimes are a joke. Look into increasing the penalties for using a firearm illegally, for straw purchases, and being a prohibited person in possession of a firearm. Start there and see where things go. Blot on our status…? Are you serious? Abortion, medical malpractice and drunk driving all kill many more Americans than guns and are all a national disgrace that we can fix without taking away individual rights. You really aren’t concerned about the tragic death toll are you? If you were you would be campaigning on these issues instead of the populist gun control, liberal agenda. You “platform” is so “anti-Constitutional”, as is your ignorance of the 2nd Amendment, that using your own prompt of “basic common sense”, you are NOT qualified. Your views proclaim that you have no intention of honoring nor protecting the Constitution of the United States and State of Nebraska. You would, in the name of “fiscal issues” trample upon the Rights of the good people of Nebraska. Your agenda, your political leanings, contribute more to the “societal” problems we face rather than to the solutions of those problems. These three points above show your lack of knowledge in the firearms area. Assault weapons are severely limited in access to the common person due to cost, taxes and bureaucratic overhead, as new ones are prohibited from non-LE or military forces. On the background check, have you purchase from a gun show? They do background checks there on purchases. The three groups you list are already prevented from purchases. The security and surveillance at schools may have some help, that is hard to say with certainty if that will create other issues. Too many mentally deranged people are committing mass shootings. We need to keep assault weapons out of their hands. What is an assault weapon? Do you not think that killers will find other ways to do harm once you take a way our constitutional rights? Many other countries have figured out how to tamp down gun violence. It’s time for us to do likewise. The US constitution is absolute. We arent like other countries. Other countries have better healthcare and immigration procedures to keep threats away. And when the threats do get in to other countries its with no resistance because they can’t defend themselves. Common sense gun laws are,one thing but what you are proposing is entirely different. So work to treat the mental illness effectively rather than punish law abiding citizens. Law abiding citizens are being mowed down in mass shootings. Yes, we need to provide adequate treatment for the mentally ill. But there are so many of these people that inevitably many will fall through the cracks. I would say that a ban on assault weapons is the height of common sense. Hunters don’t use assault weapons. Hand guns and ordinary rifles are entirely adequate for self defense. I agree with you that your “real” issues are much more fundamental causes of mass shootings than the availability of assault weapons. But these conditions are almost inevitable in a free, highly competitive society and will likely never be eliminated. Banning assault weapons is a simpler and much more direct way to solve the problem of too many mass shootings. Banning assault weapons is hardly an infringement of gun rights in any practical sense. The general public does not need them to defend itself. What do you mean the general public does not need to defend itself? You must live high up in an ivory tower with your own personal security. The 2nd was written to protect us from tyrants like yourself Adolf. I keep reading where liberals and RINOS (like you) keep saying “hunters don’t use assault weapons.” You show your ignorance in two ways with that statement. #2 There are lots of hunters who use AR-15 style rifles for hunting. Myself and several others use them daily for predator hunting as well as larger caliber AR-15 style rifles to hunt deer and other big game in Nebraska. So, when you and other liberals say stupid things like “hunters don’t use assault weapons (AR-15 style semi automatic rifles) for hunting”, you and your liberal buddies are just showing how dumb you really are. Thanks for letting me know. I don’t claim to know everything. Seven mass shootings last year are seven too many. The only way to stop them is to ban assault weapons. so what are you going to do about the 25 million weapons that are already out there? This is a huge problem, obviously. But that doesn’t mean we should make it worse than it is already. I propose a voluntary government financed buyback program to try to decrease the number of assault weapons held by the general public. In general, the more guns in circulation, the more gun violence. Will Americans never learn? You are not a republican. You are a democrat in sheep dogs clothing pretending to be something you aren’t. You only have 11% in the republican poles for a reason. As Americans our constitutional rights are not up for debate or interpretation. You clearly want to abolish the 2nd amendment. You are part of the problem and far from a solution. I hope you go broke running in this campaign because you don’t stand a chance mein fuhrer. How does this voluntary government gun buy back fit in with your stance on the national debt? You want to use my tax dollars to buy my firearms that I have already legally purchased? It makes no sense. Where will this money come from? Using the example of another respondent they said there were approximately 15 million ar style semi auto rifles in the US. Approximate cost per rifle is $700 on the low end. I can’t think of a single person who would voluntarily sell their rifle for a loss. At the base cost of $700 upwards to $2000 for some you would do more damage to the deficit than what you claim Senator Fischer ever did. That’s not even counting semi auto rifles that aren’t of the AR variety. Even if half of the value was offered the debt would be astronomical. On top of that other programs that use federal tax dollars would have less to use. With your back ground in mathematics how can you not see this? I am really interested in your response. First of all, there would have to be a careful survey taken to find out who would be willing to sell there guns back to the government. I have no idea ahead of time what the percentage of possible gun sellers would be. Only then could an estimate be made of the total cost involved to the government. banning assault weapons wont work. For every mass shooter with an Ar in the past 19 years since Columbine I can name one where the shooter used guns that fire handgun ammo. The deadliest mass shooting at a school in the past 19 years was Va tech and the shooter used two handguns and no magazine was larger then 10 rounds. The Columbine shooters used guns that fired handgun ammo as well with no magazine larger then 10 rounds as well. So the legislation proposed by the left such as banning sporting rifles and magazines larger then 10 rounds is just feel good legislation where they can yell I win you lose for a political trophy with no real impact on public safety. For every mass shooter with a sporting rifle there are millions of law abiding citizens with sporting rifles who are not criminals. In fact of you look at the FBI homicide table 8 which lists weapons used in homicide by category, more people are killed by being beaten to death with an object or stabbed to death then are killed with a rifle bullet. And that rifle bullet category combined all rifles. Deer rifles, boy Scout .22s and sporting rifles. Bottom line in the category of all homicide deaths nation wide Sporting rifles are rarely used. In fact in 2012 for example, the year that saw both Sandy Hook and the Col batman movie shooting, only 298 people were killed with a rifle bullet. In a year that saw 12,888 homicides from all weapons nation wide. Among the lists of weapons listed in the graph: (all firearms–handguns, shotguns, rifles) Knives or other cutting weapons, (1,604) Blunt objects like a hammer (522), personal weapons like hands or feet (707). Poison, explosives, drowning, narcotics were in the double digits. So in reality in spite of horrific public mass shootings some using an AR and some not in reality they are not used often. It just gets big media when it does. More people are stabbed or beaten to death with either an object or their own hands/feet then die with an assault rifle bullet. Bottom line while I agree with you on more fiscal responsibility and hardening of schools, banning assault rifles are a deal breaker for me. The Ds in Congress now proposed a ban for ARs but the ban includes ALL semiautomatic rifles with fixed mags holding more then 10 rounds so marlin model 60 or the Remington Nylon 66 Boy Scout hunting rifles would be banned as well as the scary AR-15 the left loves to hate. So this knee jerk reaction by the Ds on tis topic is absolutely ridiculous. Others have pointed out already the 2A is not about hunting so I dont need to repeat their comments but the recent ban proposed by Ds includes common hunting rifles. The Nylon 66 is what my dad taught me to shoot and more importantly gun safety and a Marlin Glenfield 60 was my first personal gun in jr high. Why is there far more gun violence in the U.S. than in any other developed country? It is because we have more guns in circulation than any other developed country. I believe that the biggest problem our country faces is our enormous and out-of-control national debt. This makes me a fiscal conservative. Isn’t that good enough to be a Republican? Apparently you don’t have a clue what it takes to be a Republican let alone a conservative one. Agreeing with the Party on one issue still makes you a liberal. A bunch of kids today skipped class in California to protest for more gun law’s. They threw rock’s and bottles destroying property and more. This clearly illustrated the problem is not guns. I’ll say it again, the problem is not guns. Likely these kids want more gun control to reduce their chances of encountering an armed home owner when they graduate to home invasions. Your shortsighted view is telling; ban an inanimate object that can do nothing by itself except rust sounds good but does not address the real problem. All it does is allow you to be all touchy feel good about doing something that does has not ever worked. Ban guns? We did that with booze a century ago and how did that work out? Guns are the problem? Japan does it right? We need to take a lesson from them. I wonder how the 19 dead and 26 wounded in a knife attack, in the Land of the Red Sun two years ago, feel about that. Clearly you do not have a clue. I am not just saying that and it is not meant as an insult. Much of what you suggest is already on the books. You are so clearly out of touch that you want to make a law that is already on the books. I am sure this ignorance extents to other subjects as well. Please do yourself and all Nebraskans a favor; stop wasting everyones time and money, acknowledge your shortcomings, withdraw from the campaign and go back to your numbers. Hopefully for the sake of your students you know more about them than you seem to know about anything else. I do have a clue. Gun violence in the U.S. is much worse than it is in other countries. There has to be a reason for this and we should be able to figure out what it is. *WOW* A wolf in shepherd’s clothing! Deb will continue to get my vote!